Frontier Basement Systems installs ThermalDry® insulated subflooring, as well as a variety of finished flooring options for the basement. Contact us for a free basement flooring estimate, offered to customers in Jackson, Nashville, Clarksville and surrounding Tennessee and Kentucky areas. Call us or contact us online to set up a free consultation with one of our basement experts. 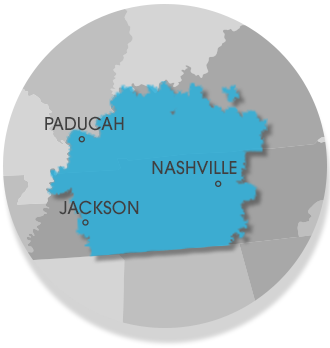 Frontier Basement Systems' service area includes Owensboro, Murfreesboro, Bowling Green, Philpot, Utica, Fayetteville, Marion, Clarksville, Nashville, Jackson and surrounding areas. We provide free installation estimates for ThermalDry® Insulated Floor Decking™ and all of our waterproof flooring solutions.